For a large part of my life, I spent at least one weekend a month heading up to Big Bear, CA. 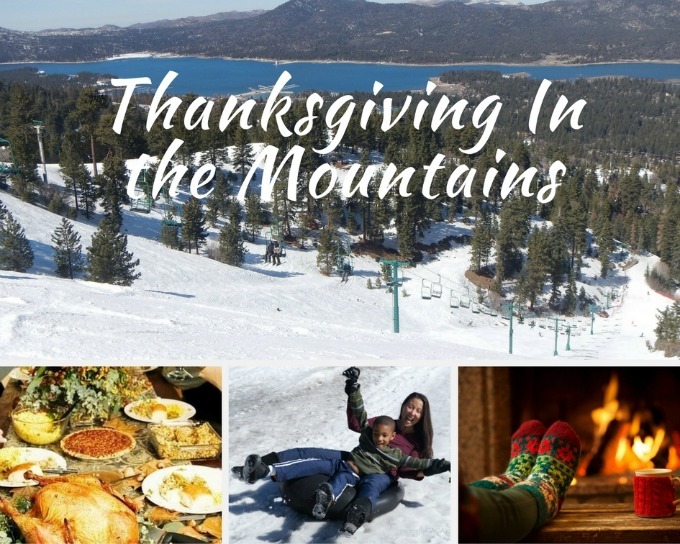 It’s a great year-round mountain resort town in Southern California. We’d head out, making the about 3-hour drive from our home, up to the cabin that my grandparents owned. In the summer, there’s lots to do outdoors, and you can head out on the lake for water skiing, wakeboarding, tubing, and swimming. In the fall and winter, though, that’s when the magic happens. The town of Big Bear turns into a beautiful winter wonderland. Snow starts to cover buildings and the mountains, and the area comes alive with skiing, snowboarding, and general holiday revelry. 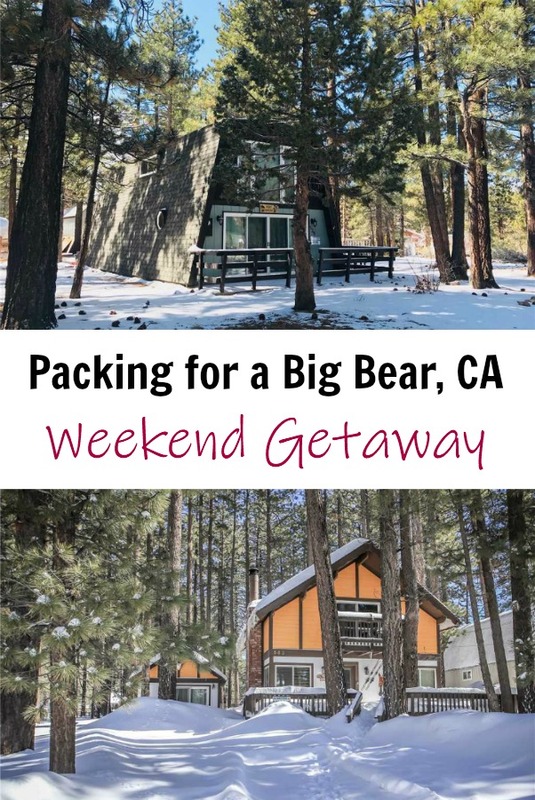 We’ve gathered up some great ideas for things you’ll want to pack for a Big Bear cabin getaway. Editorial samples may have been provided. Links may be commissioned. The mountains are cold, and there’s a high probability of snow on the ground. Be prepared with a great pair of snow boots, like the Ravine style from Irish Setter. They’re oh so warm, and water resistant, as well as being made from 90% recycled materials. The fastening system is a little different, and is more like a ski boot than a traditional lacing system we may be used to. Plus, they’re not only great in the snow, they’ll look good in town, too. And they’re lightweight, so you don’t feel like you’re lugging around 25 lb. shoes with you. 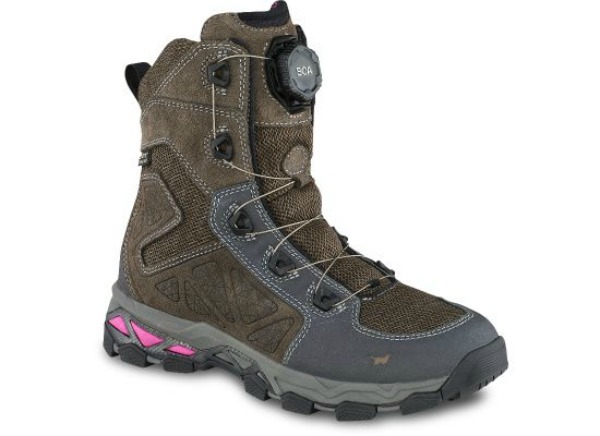 If you want something a little more traditional, try these Keen snow boots. This is an often-forgotten item to pack for winter getaways. People tend to think they only need sunscreen for warm climates. Not true. In the winter, the sun’s rays are harsh, and when you’re playing in the snow, or on the slopes, you’ll get the reflection of the sun shooting right back atcha. Protect yourself because a snow burn can be just as nasty, if not worse, than a sun burn. The glare of the snow can be brutal, even when you’re just walking around or driving. Just like with sunscreen, you need to protect your eyes, and a great pair of sunglasses will help with that. These bamboo sunglasses from Tree Hut are a great option. 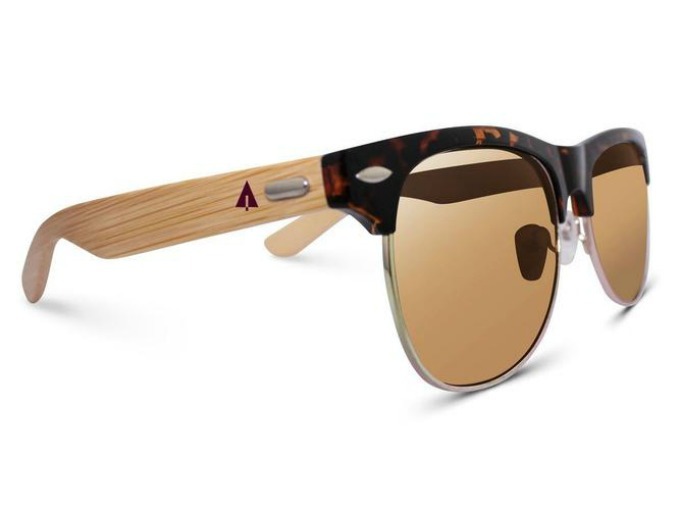 Their modern styling, paired with the great bamboo arms, will have everyone asking about your shades. I know this sounds ridiculous, but don’t forget your ice scraper. Especially if you’re traveling in, or aren’t used to cold climates. There’s a really good chance you’ll get frost and/or precipitation, and you’ll need one. The Better Ice Scraper is a great option. 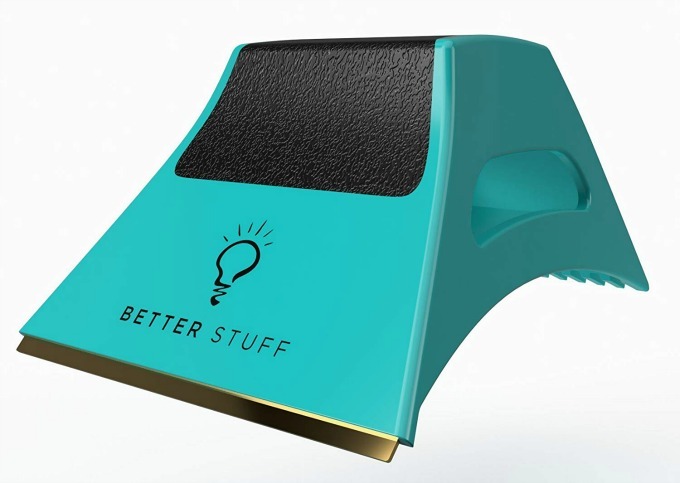 It’s small and compact, and works to clear both snow and ice. 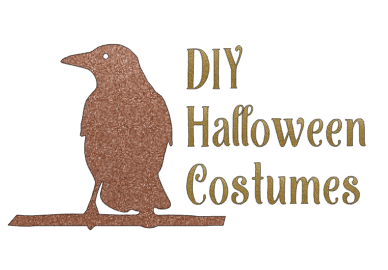 Plus, it’s so affordable, you could easily choose to leave it behind for the next guests. When you’re out and about in Big Bear, you’ll want some way to carry your items. A great daypack is the way to go. It’s great for carrying essentials like snacks, water, and your extra layers on your hike. And when you’re in town, picking up some gourmet treats, a bottle of wine, or souvenirs, you can stow those items away in your daypack and keep moving along. 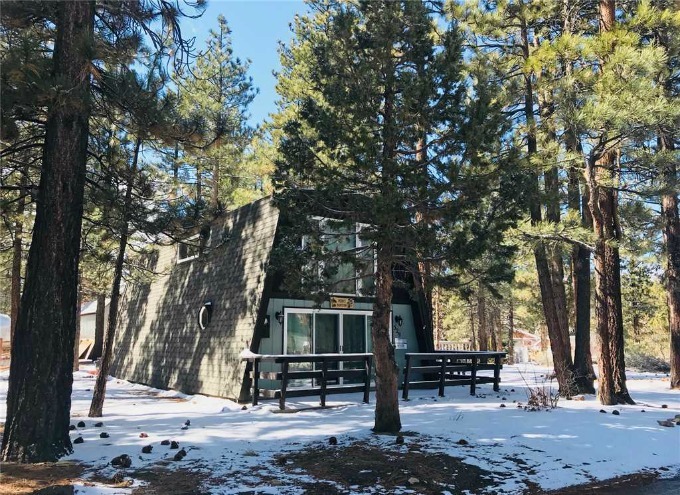 My grandparents have long since sold their Big Bear cabin, but that doesn’t mean I wouldn’t return for a holiday weekend in a heartbeat. 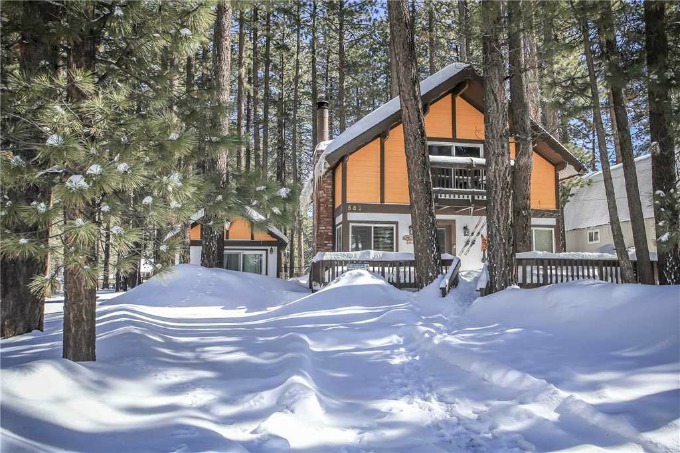 I’d just have to rent a cabin from somewhere like Big Bear Cool Cabins. They have over 350 cabins and homes to choose from, many of which are pet friendly. And over Thanksgiving Weekend, they’re running a fab promotion. If you reserve three nights, you’ll get the 4th night free. How awesome is that?!?! Just use code 4THFREE when you check out.